It’s honestly quite surreal that Pokémon is a franchise that’s now celebrating its 21st birthday. The multimedia franchise goliath has gone through years upon years of success and shows no signs of stopping with Pokémon Ultra Sun & Ultra Moon right around the corner. In a world where many often declare their jaded outlook on long running franchises like Assassin’s Creed and Call of Duty, it’s quite the miracle that not only has Pokémon lasted this long with less vitriol, but has also crossed the generational gap seemingly unscathed. 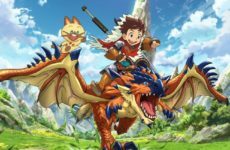 While in no way close to moving the numbers of the original games, the series is still vigorously pumping out copies with the latest generations consistently breaking records in terms of sales. Now though sales numbers are quite juicy indeed, they are often not a good representation of a game’s quality or nuances. Pokémon has for the most part been consistently seen as good games;like some of Nintendo’s other titles the games are formulaic in nature but have years upon years of polish under their belts resulting in each one just being great, solid experiences. Despite this there’s always been an underlying debate when it comes to Pokémon’s recent titles, and that’s in regard to its difficulty. A game’s difficulty is often a touchy issue as there really is no sure way to measure it. Some people are just more adept at playing certain games seeing as factors like critical thinking, reaction times and prediction are tested in different ways depending on the genre. For many games, this issue is circumvented with difficulty options; Pokémon however, save for its Black 2 and White 2 versions, has not included difficulty settings in any of its mainline titles. You’re only given one way to play the game, and that’s the way you HAVE to play it. For the longest time this has not been an issue for Pokémon, though as its loyal fan base grows up the creature-collecting RPG is now presented with an increasingly pressing issue brought on by its popularity across the generations: make the games tougher for the old fans, or make it easier for the new ones? As a long-standing fan of the Pokémon franchise, I find myself irked occasionally by the difficulty in recent Pokémon games. Beginning with Pokémon X & Y, the series has not just felt easy, but mind-numbingly pandering on occasions. Now Pokémon as a franchise has never been too difficult, items are often given out with minimal effort; the enemy AI has never been particularly intelligent even at the endgame and the flow of the game never really requires much grinding, which is usually a staple of RPGs. In recent games however, the hand-holding is so painful it really hampers the experience as a whole. For example, many a Pokémon player will “fondly” remember how Brock and Misty in the first generation games spelled trouble if they started with Charmander. 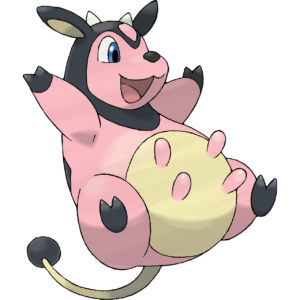 In generation 2, Whitney and her Miltank were so infamous that they’ve essentially become a meme that lasted to this day. People tell stories of how they spent hours combing the Safari Zone for a Chansey or how they hunted down the legendary dogs of Johto. These tales are all part of what made Pokémon such a joy to talk about. Today there’s none of that. These days more often than not, if players don’t handicap themselves with certain self-imposed rules, they can and will steamroll through the game right to the end; and while some Pokémon such asFeebas remain notoriously hard to obtain, I think we can all agree that most legendary Pokémon have had their high status neutered significantly. With the two initial generations of Pokémon now on the 3DS, I tried replaying the games to see if they were truly as difficult as I had remembered from my youth. Despite having the benefit of foresight, I found that I still had to prepare well for key opponents such as Gary and Silver or risk dumping a mass amount of money on curatives. Many a time I’ve had to take a step back and assess the situation for a moment before being comfortable proceeding. In stark contrast, the latest Pokémon entries can be rather mind-numbing in comparison. The most recent Sun & Moon games did up the ante slightly in terms of AI competency, but generally maintains an extremely lenient pace as characters CONSTANTLY heal you when you’re travelling, battles are laughably short as opponents have weaker and lesser amounts of Pokémon, and the beginning of the game is essentially a long-drawn out tutorial that never seems to end. In regards to the lapse in difficulty, many give the excuse that the Pokémon games are meant for children, which brings us back to my point earlier. There is quite the conundrum here stemming from the clash of generations. Putting effort into overcoming a tough obstacle seems to be something recent games are shying away from, which is quite a shame because no matter in a game or in reality, knowing you’ve been rewarded due to your own efforts is much more gratifying than being given some participation trophy. Lowering our standards based on the excuse that the target audience is young seems rather counter-intuitive as well; shouldn’t we encourage perseverance through fair play instead of handing them everything on a silver platter? While that developer mind set is quite a downer for someone who wants to be more invested in the Pokémon games such as myself, in the end the games still walk the fine line of balance for me. 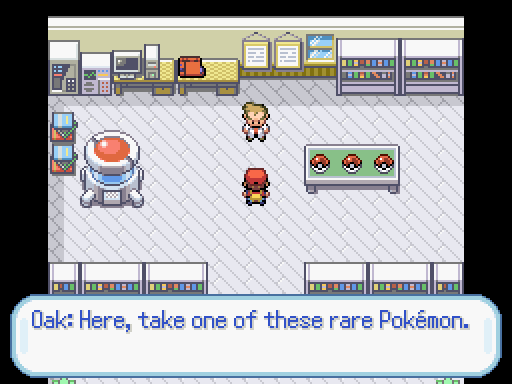 There’s just enough to keep me going, but always something that makes the Pokémon games fall short of absolute greatness for me. Why not introduce a difficulty setting? Perhaps have differing Pokémon versions of difficulty each generation instead of two games with JUST version exclusive Pokémon? 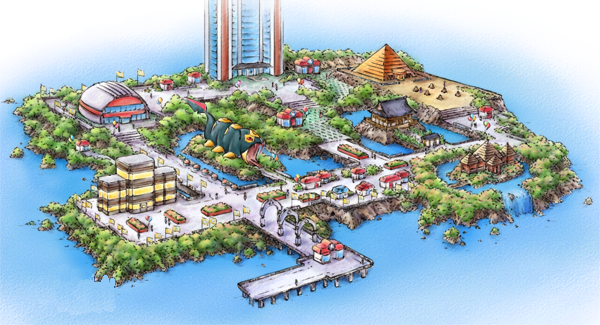 Well, one can always hope; and with Ultra Sun and Ultra Moon coming soon, maybe there’s something that will change up the formula this time.